24 Dec 2018 by Nela Collins, Simon Moore, Tom Arnfeld. In December 2017 we unveiled the true potential of Cloudflare’s scale: to find the best commercially available mince pie and let the world know about it. In 2018 we’ve all been extremely busy helping Cloudflare & our customers and therefore we left it very late this year. Uncomfortably late. If you want to know the best mince pie to buy in 2018 right now, skip straight to the bottom of this post where we reveal the winner. If you want to understand more about what makes a mince pie great and how we can learn this at Cloudflare’s scale - read on. How do you review 42 varieties of mince pie in an hour? With a very short amount of time to get this research out to a discerning and demanding public, we engaged the entire Cloudflare London team to help. Team members diligently went out and purchased mince pies from all over the South East of England for everyone to taste. 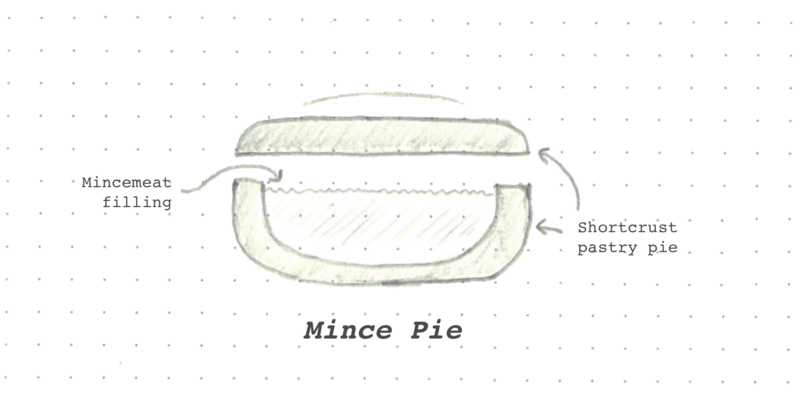 A quick refresher - what is a mince pie? The top 3 categories there are somewhat objective measurements compared to the more subjective ones below. During analysis, this created some exciting opportunities. With this combination of 3 subjective & 3 objective metrics and a total of 214 submitted reviews by our team, we had a lot of data. To break this data down Nela quickly settled on the Pearson Correlation Coefficient (PCC). The correlation coefficient ranges from −1 to 1. A value of 1 implies that a linear equation describes the relationship between X and Y perfectly, with all data points lying on a line for which Y increases as X increases. A value of −1 implies that all data points lie on a line for which Y decreases as X increases. A value of 0 implies that there is no linear correlation between the variables. By setting our X Value as the Overall Rating, we were able to plug in each of the other metrics from our reviews as the Y value, to understand how important each of these characteristics are in producing a high quality result. From this data we can conclude that satisfaction with a pie’s mince filling is the most likely criteria for overall pie satisfaction with r=.841, while innovation creates a negative correlation implying that traditional mince pies are favoured, and straying from this will only lead to dissatisfaction. Alcohol content had a minor positive correlation while pastry, pastry to filling ratio, and aesthetic had an average positive correlation. Before we get to the final overall rankings, there’s a few categories we wanted to mention. Unsurprisingly, some of the most expensive mince pies come from London’s fanciest Restaurants & Bakeries. The 3 most expensive mince pies did not rank highly enough to feature elsewhere - which goes to show you that money doesn’t necessarily buy you the best mince pie. A Dickensian-styled thing of beauty, I expected a pie-seller to appear muttering "gawd blimey guv'nor thems good pies". Good bite, alcohol was raw and overly pungent, tasty but I needed a quiet lie down afterwards. In a word, dense. Dense filling, dense pastry. A bit too heavy all round. Below are the 3 lowest scoring mince pies in 2018. We publish this not to humiliate but in the hope that these bakers will learn & improve for 2019. The 10 on "experimental" here means ... experiment gone badly wrong. If ratings allowed for complex numbers, this one would score an overall '10i'. A bit dry and what on earth is all that air doing there?! Get out and put mince in! BANG average from Aldi. I don't know where Holly Lane is but if I were to guess it would be firmly in the middle of somewhere. Slightly chalky, pasty pastry and sweet uninteresting mince. Nela’s impressive Pearson Correlation work showed that there is actually a minor negative correlation with mince pies that are highly innovative. During tasting we observed that innovative pies drew people in but they most definitely divided opinion. Here are the 3 most innovative mince pies (as ranked by their innovation score). I tried it twice. Will probably try to grab another one. Even with 14 others in-between the first and the second sampling, my preference hasn't changed. To me this is the star of the show. Yum! Tasty filling, with a solid pastry. A great all rounder, if a little sweet with extra filling peel and topped sugar on the pastry. Thanks to everyone at Cloudflare who took part in this extensive research. If you’re inspired by some of the questions answered in this blog post and you like spiced fruit and intense pastry debates then Cloudflare is hiring in London and all over the world. Happy Holidays!